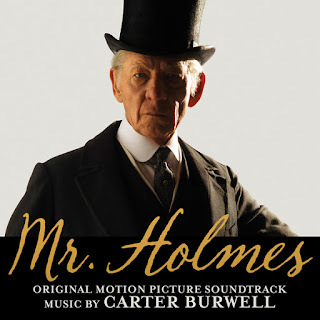 Lakeshore Records will release the MR. HOLMES – Original Motion Picture Soundtrack digitally on July 24 and on CD August 28, 2015. The album features the film’s original score by Carter Burwell (TWILIGHT SAGA: BREAK DAWN PART 1 & 2, THE BIG LEBOWSKI). Mr. Holmes is a new twist on the world’s most famous detective. 1947, an aging Sherlock Holmes (Ian McKellen) returns from a journey to Japan, where, in search of a rare plant with powerful restorative qualities, he has witnessed the devastation of nuclear warfare. Now, in his remote seaside farmhouse, Holmes faces the end of his days tending to his bees, with only the company of his housekeeper and her young son, Roger. Grappling with the diminishing powers of his mind, Holmes comes to rely upon the boy as he revisits the circumstances of the unsolved case that forced him into retirement, and searches for answers to the mysteries of life and love – before it's too late. In keeping with the theme of losing grip on reality, Burwell used various instruments to further that point. “The glass armonica is a story element. It's a fascinating instrument, made of glass, rumored to drive those who play it mad” and this theme carried throughout. Carter Burwell graduated from Harvard College. While at Harvard, he studied animation with Mary Beams and George Griffin, electronic music with Ivan Tcherepnin and pursued a course of independent study at the MIT Media Lab (then known as the Architecture Machine Group). In the early 80s, he worked at the New York Institute of Technology where he began as a computer modeler and animator, but ended up as Director of Digital Sound Research. During this time, he worked on many computer-animated television spots and films, ultimately contributing models and animation to the Japanese anime Lensman. At the same time, Burwell pursued a parallel career in music, playing with a number of bands in New York City, particularly The Same, Thick Pigeon, and Radiante. He was also writing music for dance, theatre and film. His first film works included the Coen Brothers first feature, BLOOD SIMPLE. This lead to a twenty year collaboration on such films as FARGO, THE BIG LEBOWSKI, THE HUDSUCKER PROXY, O BROTHER WHERE ARE THOU? and NO COUNTRY FOR OLD MEN. Burwell’s credits also include BEING JOHN MALKOVICH, BEFORE NIGHT FALLS, VELVET GOLDMINE, THE SPANISH PRISONER, THREE KINGS, THE KIDS ARE ALRIGHT, TRUE GRIT, the HBO mini-series MILDRED PIERCE, and several films in the Twilight series including TWILIGHT, THE TWILIGHT SAGA: BREAKING DAWN PART 1 and PART 2. His upcoming films include CAROL, starring Cate Blanchett and Rooney Mara, LEGEND, starring Tom Hardy and Emily Browning, the animated film ANOMALISA, and the Coen Brothers newest production, HAIL CAESAR! 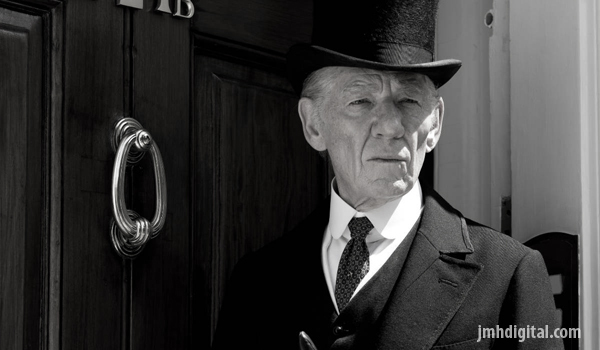 Miramax and Roadside Attractions present MR. HOLMES in theaters July 17, 2015. Lakeshore Records will release the MR. HOLMES – Original Motion Picture Soundtrack digitally on July 24th and on CD August 28, 2015.